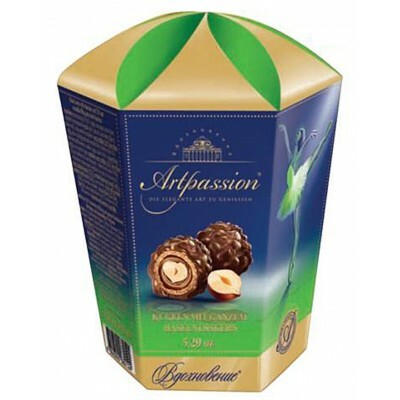 Candy "Artpassion" with Truffle cream and Whole Hazelnut 150gr buy for 5.4900 in store RussianTable with delivery. Weight - 150gr. The whole nut dressed in a gentle cream and a thin wafer crust, poured by chocolate with the crushed nuts! Do you have any questions about Candy "Artpassion" with Truffle cream and Whole Hazelnut 150gr?